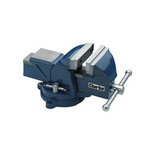 A robust cast iron vice with swivel base, ideal for the enthusiastic DIY user. 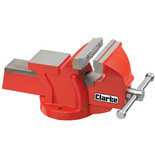 A light duty general purpose bench vice. 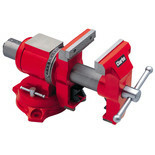 Fitted with an anvil, swivel base and machined jaws. 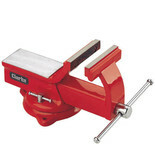 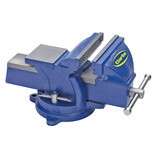 Ensures a firm grip to make a number of cutting, shaping, forming jobs much easier. 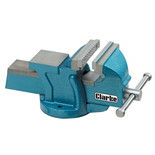 A light duty general purpose bench vice. Fitted with an anvil, fixed base and machined jaws. 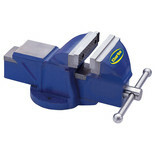 Ensures a firm grip to make a number of cutting, shaping, forming jobs much easier. 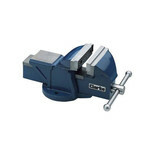 A tough general purpose engineering style bench vice of solid cast iron construction with a large square anvil, swivel base, and machined jaws. 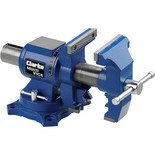 Firm Grip - Great Value! 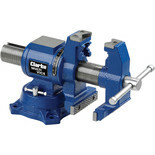 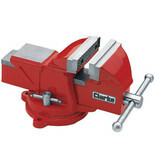 A substantial heavy duty vice with swivel base for engineering and general workshop duty.